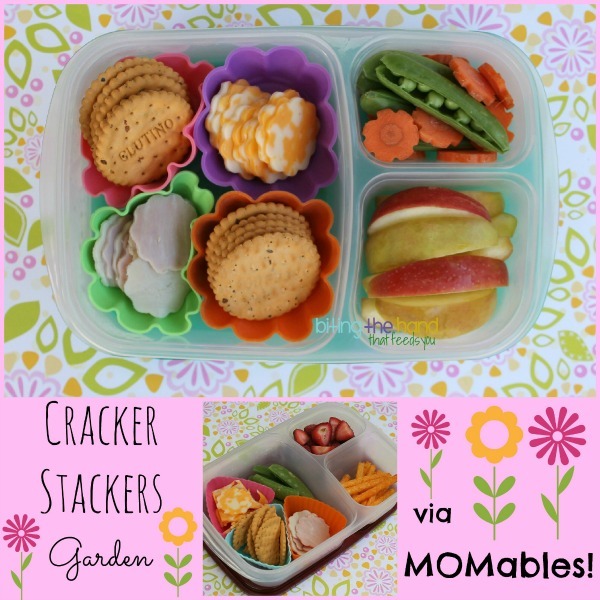 Biting The Hand That Feeds You: MOMables Monday - Cracker Stacker "Garden"
MOMables Monday - Cracker Stacker "Garden"
The MOMables Cracker Stackers is still one of my favorite go-to lunches. 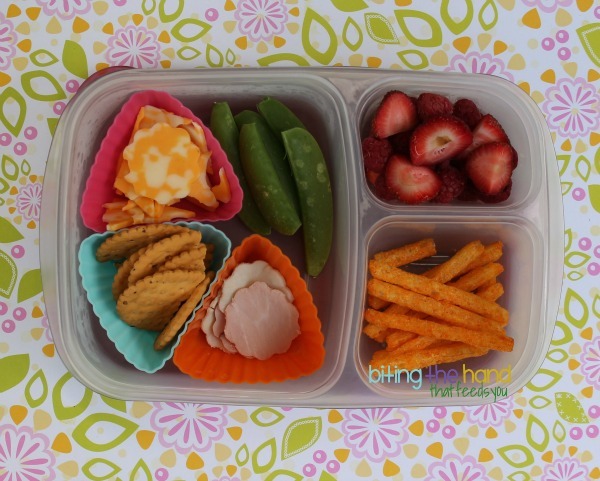 So simple, and yet I hadn't thought of it before being inspired by my MOMables menu plan subscription! 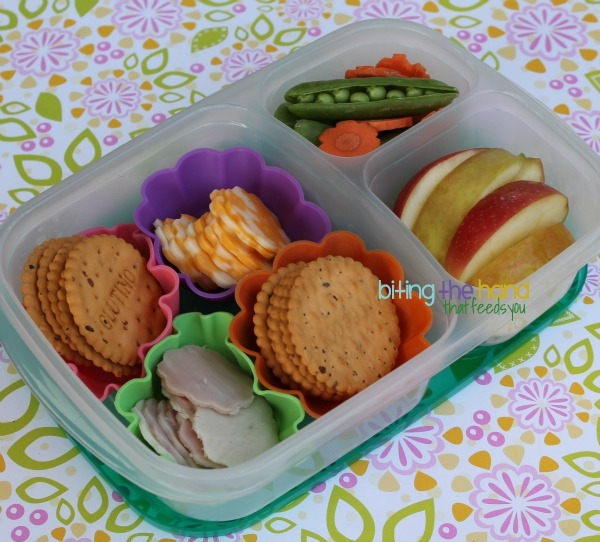 These are super easy with just some whole-grain crackers and a mini cookie cutter! Since I usually pack the night before, to help the crackers stay crispy, I have a special spot I put things to add the next morning (in my case, it's where my camera and background papers are!) So they don't go in until just before Z leaves for school. Some ideas to help you remember (if you're a night-packer like me, or if you pack several days in advance,) are to use a dry erase marker on the lunches for notes to remember what needs to be added/prepped the morning-of, post-it notes, or one of those suction-cup drink markers, just to trigger a reminder that something needs to be added. The carrots were hand-cut with a v-shaped blade down the sides of the carrot, then cut into coins to make flowers. Cheese scraps, Glutino cracker bits, uncured turkey and ham, organic peas and strawberries, Snikiddy Ketchup "Fries"
I used silicone triangle cups for E mostly because she doesn't care quite yet, and I had more clean ones of those because I seldom use them. (Mine came from China, via eBay.) That's why she got the broken crackers and cheese scraps too. She's starting to care about getting shaped foods, but is content with a few shapes (or even the misshapen shapes!) on top of scraps. For now.